What is Drone Racing? Sport of the Future? 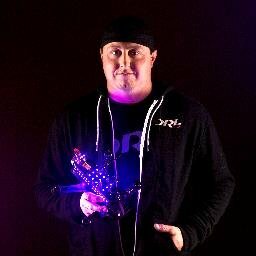 A few weeks ago we got in contact with DRL, the premier drone racing league. They offered to let us ask some questions about drone racing. We spoke to Steve “Zoomas” Zoumas one of the league's well regarded pilot. Drone racing has been a growing hobby over the past few years where pilots race drones against each other. As a group of racing and action sport enthusiasts, The Drone Racing League immediately connected with the experience of FPV flying after they tried it. The experience is so intense, and surprisingly visceral, they believed there would be a growing demand to see the skills of some of the world’s greatest drone pilots. DRL focused on finding iconic and complex venues to make the experience more engaging for viewers at home, and built out the technology to support the filming. What are the general rules for drone racing? With six key events in 2016, DRL will enlist elite drone pilots from around the globe to compete on the world’s most complex and unique courses. They built an in-house team of race specialists and drone engineers to re-imagine the traditional sports league. With multiple heats per event and continually evolving courses, each pilot will be forced to improve as the season goes on or risk elimination. There are three stages to a DRL race event: Qualifyings, Semifinals and Finals. Each round contains multiple heats, so that pilots get multiple attempts at racing the same line. DRL races are in enormous venues, with the course bending through tunnels, up flights of stairs and around razor sharp turns. In each race there are gates that the drones must fly through to stay on track, miss a gate and the pilot is disqualified from the heat. Points are awarded based on checkpoints and finishing time – just like common racing video games. Pilots who finish the season with the most points are invited to the world championship where they can compete for the title of world’s best pilot. What got you into drone racing? I've been flying radio controlled Planes and 3d Helicopters for 4 years now. About 18 months ago my friend sent me a video of guys racing through the woods. They were flying quadcopters with FPV setups. That was the first time I even knew first person view existed. That night I ordered a rtf setup and the rest is history. Do you think drone racing will be the next big thing/sport? Absolutely. This is the start of an incredible new sport. The technology DRL has developed will bring traditional racing passion to courses that have never existed for any other sport. As viewers at home get to know us as pilots and better understand the incredible skill required to race 3D courses in speeds above 80 MPH, new groups of fans will emerge from unexpected places. As a kid, didn't you always think what it’s like to be a bird? Drone racing is making that possible. Why do you think drone racing has become so popular over the last few years? Mainly because adrenaline junkies like me are realizing that drone racing satisfies our need for speed without the risk. I grew up on ATV’s and dirt bikes, and there’s no bigger adrenaline rush to me then when I'm flying all out in the goggles. I get a full body rush of adrenaline, sometimes so bad my body and hands in particular shake. But, if I crash a drone, I get to go to work the next day without worrying about being hurt. Plus, who doesn't want to fly? As a kid, didn't you always think what it’s like to be a bird? Drone racing is making that possible. Watch Steve “Zoomas” Zoumas at the finals of Miami Lights here. So as you can see getting into drone racing is not too hard. All you have to do is stay committed and make sure that you will be fine with the large bills from unexpected crashes and malfunctions. Drone racing is a growing sport and is the sport of the future.